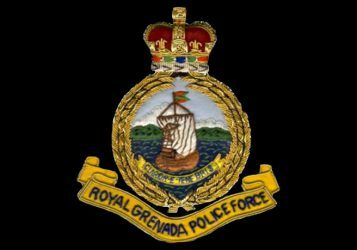 The indiscriminate and unauthorized practice of sand mining is rapidly becoming prevalent; as a result the situation is of grave concern to the Royal Grenada Police Force. Section 2 of the Beach Protection Act, Chapter 29 of Volume I I of the 1990 Laws of Grenada states that it is an offence for any person to dig or take and carry away any sand, shingle or gravel from any seashore, he/she is guilty of an offence and is liable on summary conviction, to a fine of five hundred dollars and to imprisonment for six months. We further wish to bring to the attention of the general public; in pursuant to Section 2 of this Act, any person using a motor vehicle in the commission of an offence under the Act, may in addition to the imposition of any other penalty, also runs the risk of being disqualified from holding or obtaining a drivers license for a period of no less than one year. Please be advised that Gravel Concrete & Emulsion Production Corporation hold the exclusive rights to harvest and distribute for sale sand from three locations; the Galby and Bacolette Beach in St. David and the Canals in Mt. Rodney. This decision was taken following a Cabinet decision taken on 24 June 2013. The Royal Grenada Police Force takes this opportunity to remind the general public that sand mining is prohibited by law and that any person who harvests sand from any beach or seashore, separate and apart from the authorisation of Gravel Concrete & Emulsion Production, will be prosecuted according to Law.